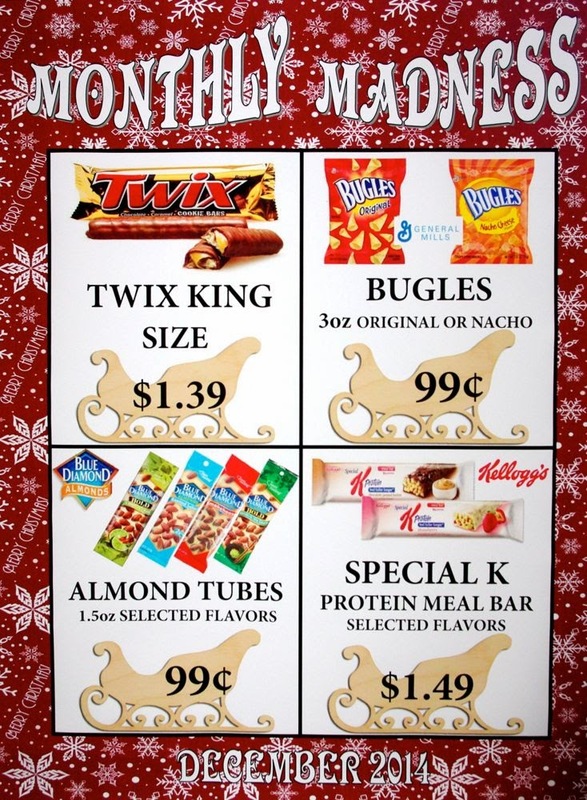 Ring in the New Year with the market! 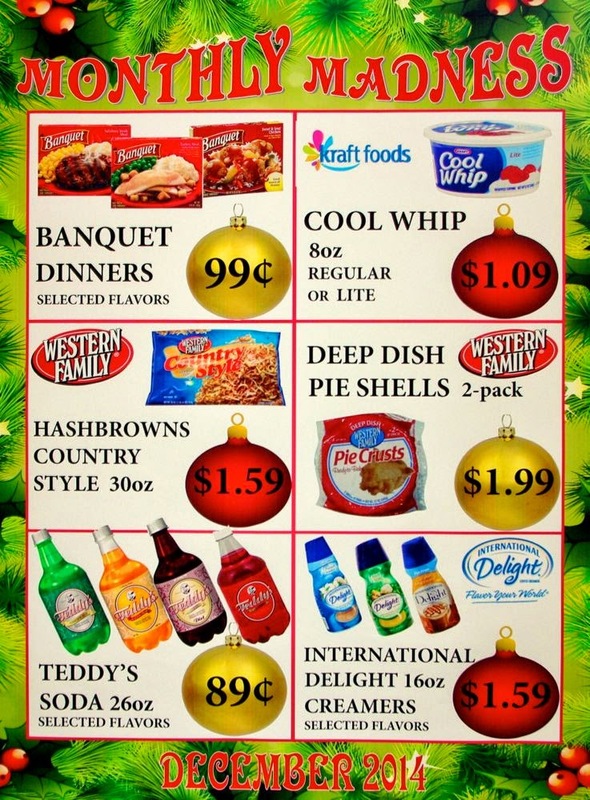 Monday, December 22, 5pm-7pm, SHOP & SAVE! 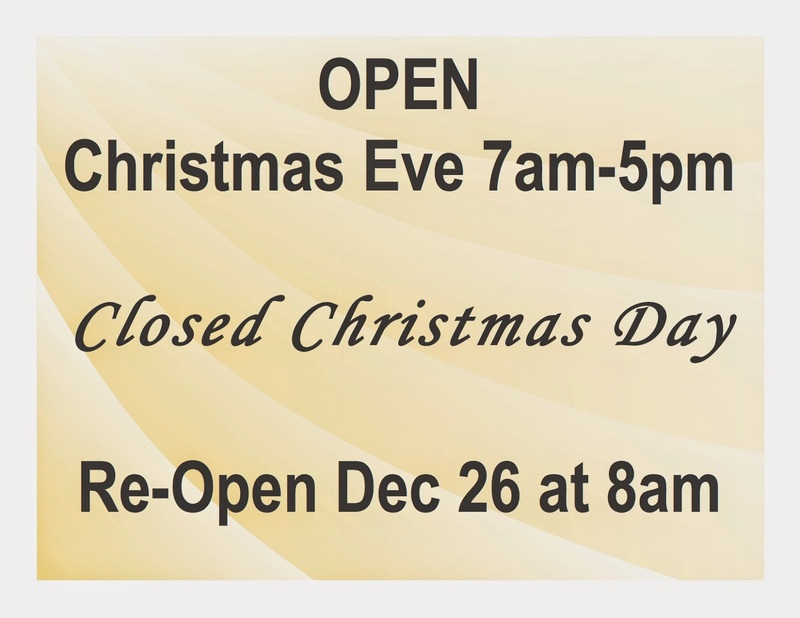 The last weekend before Christmas is almost here! 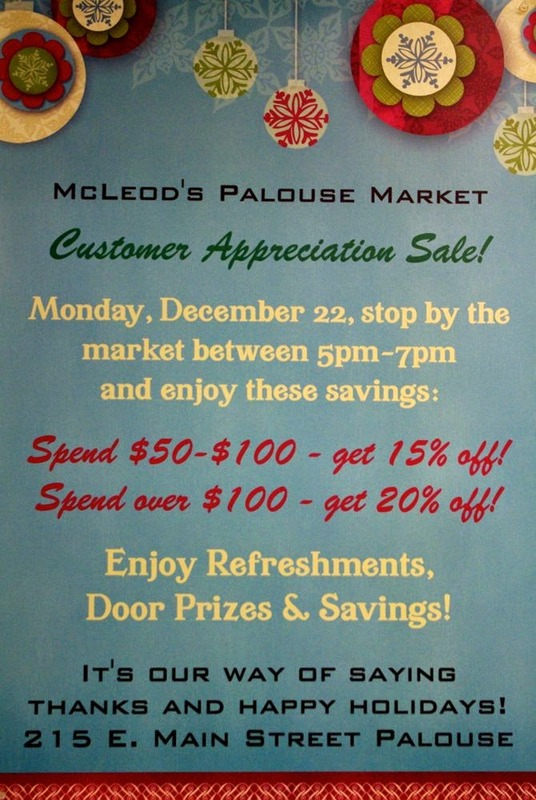 Spend it doing things you enjoy and save the big holiday grocery shopping for Monday - the annual McLeod's Palouse Market Customer Appreciation Sale! See details above. Fun-filled festivities Saturday in Palouse! Palouse Round Table Annual Craft Sale at the Palouse Community Center from 9am-2pm! Great holiday gift ideas! Antique Sale at the Palouse Grange and in downtown Palouse! Also at the Grange, Mary Kay Holiday Open House, 9am-3pm. Gifts are all wrapped and start at $6! 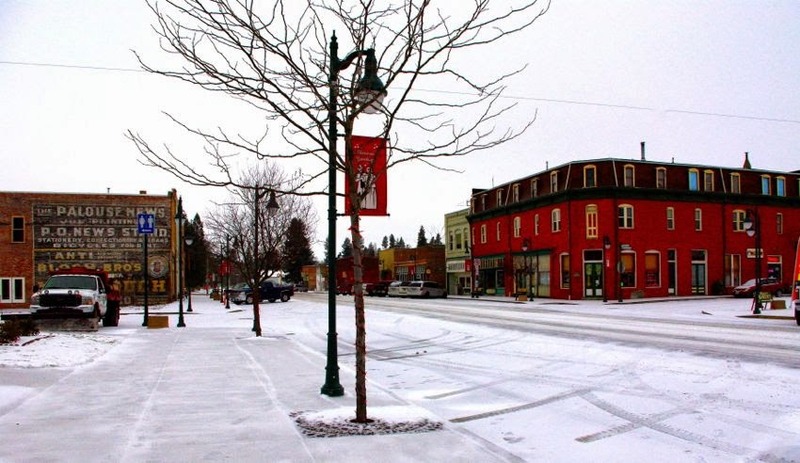 Christmas at the Bank Left Gallery and Bistro! Celebrate! The gallery is in full bloom with planters, one of a kind handmade ornaments, art, textiles, food, music and more! Dec 6 "Love in the Morning" - A Christmas Breakfast! 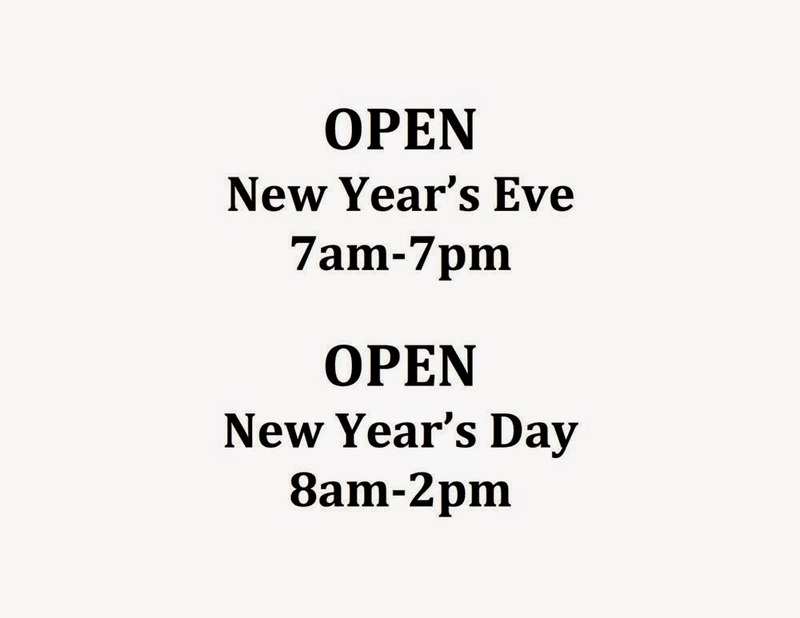 Serving from 9am-1pm! As always, Saturday is going to be a GREAT day in Palouse!